Pigeon Road Pottery studio is open by appointment year round. The studio is located in Lake Tomahawk Wisconsin. To set up an appointment contact Amy Higgason by phone or text at 715-525-1635 or by email at pigeonroadpottery@gmail.com. 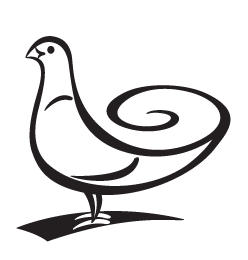 For the latest studio news follow Pigeon Road Pottery on Facebook at facebook.com/pigeonroadpottery. You may follow me on Instagram at instagram.com/pigeonroadpottery. I do art fairs and shows in the midwest from April through October. A complete 2019 show listing may be seen under the "Shows" tab. During the winter months I concentrate on commissions and online sales. To purchase my work online visit my Etsy shop at https://www.etsy.com/shop/PigeonRdPottery. If you see something on this website or on social media that you are interested please contact me by email.